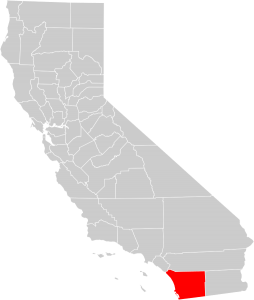 In a follow-up on two infectious disease issues in San Diego County, mice with hantavirus and tularemia positive ticks, San Diego County Vector Control has issued some updated information and warnings for the public. Vector Control officials said five Western harvest mice caught in routine trapping in open fields in 4S Ranch and in the rural Black Mountain area have tested positive for hantavirus, bringing this year’s total number of rodents to test positive to 17. That is the highest number of rodents to test positive in San Diego County since 2012, when 35 mice and one meadow vole tested positive over the course of the year. Vector Control officials said the high number was not a cause for alarm. Hantavirus is common in San Diego County, but it is mainly carried by wild mice that do not live around humans so people are rarely exposed to the virus. In addition, the 17 rodents that tested positive represent 4.8 percent of the 351 wild rodents that Vector Control has trapped and tested this year, a figure within normally-expected ranges. Still, officials said people should remember to protect themselves from potentially being exposed to hantavirus. The virus can cause deadly infections in people and there is no vaccine or cure for it. County officials are reminding people again to protect themselves and their pets from ticks — which can transmit tularemia and other diseases when they bite people — whenever they are hiking, bicycling or walking in grassy backcountry areas, on trails or in the wild. Vector Control officials said last week that several batches of ticks trapped in routine monitoring in the area of Lopez Canyon Trail had tested positive for the disease. Because they are small, ticks are “batched” together into larger groups to conduct testing. County officials said they posted signs warning people to protect themselves from ticks last week and have posted additional signs in the wake of the new find. http://health.gov.on.ca/en/public/publications/disease/hanta.aspx; however, it is interesting that this virus loves mice and well…..ticks love mice. Time will tell. https://securitystudiesonline.wordpress.com/2011/08/11/potential-uses-of-the-hantavirus-as-a-biological-weapon/ As it turns out, the hantavirus is not a new disease and is far more widespread than previously suspected in the United States. For example, tissues analysis has revealed that the earliest proven case of hantavirus occurred in Utah in 1959, and has been found in 32 states….From 1993 to 2004, there were 362 cases of HPS diagnosed with 132 fatalities in the US alone. However, HPS is also found throughout Latin America. Panama, Brazil, Bolivia, Chile, Paraguay, Uruguay, and Argentina have had reported cases of HPS. From 1993 to 2004, there have been 1548 cases and 252 deaths throughout Latin America. The hantavirus is newly discovered by modern science, but people have lived with it for years previous…..However, because USAMRIID was involved and conducted the research at Fort Detrick, HTN was grandfathered into the ongoing US bioweapons program. Despite its ability to effect military operations as demonstrated in the field, military studies of hantavirus do not appear to have gone past the research stage.…the hantavirus will enter a host cell and replace itself with a negative strand of messenger RNA (mRNA), so when the mRNA brings the genetic information for reproduction, the virus is reproduced instead of the original host cell’s molecule. As the cell reproduces more hantavirus, the hantavirus kills the host cell and infects others. As this spreads throughout the body, the internal structures fail and can lead to death….It is a virus that does not skip any demographic, is found naturally, and has a 50% mortality rate. These factors frighten some who worry about its use as a bioweapon. Although no cases of human-to-human transmission have been identified in the United States, investigation of an epidemic in Argentina in 1995 provided strong evidence for person-to-person transmission; strict barrier nursing techniques are now recommended for the management of suspected cases. Prevention – stay away from mice and their droppings. Since people often catch the virus by breathing it into their lungs, don’t use anything that allows particles from mouse droppings to get into the air (like sweeping with a broom). Soak droppings down with a good disinfectant for 20 min and then wipe up with a mop. In Spring, open doors and windows to sheds and allow them to air out well before entering. Let’s pray ticks and other insects can not transmit Hantavirus and that it’s not been tweaked for biowarfare purposes. Tularemia: https://madisonarealymesupportgroup.com/2016/10/25/of-rabbits-and-men/ Tularemia, in aerosol form, is considered a possible bioterrorist agent that if inhaled would cause severe respiratory illness. It was studied in Japan through 1945, the USA through the 60’s, and Russia is believed to have strains resistant to antibiotics and vaccines. An aerosol release in a high population would result in febrile illness in 3-5 days followed by pleuropneumonitis and systemic infection with illness persisting for weeks with relapses. The WHO estimates that an aerosol dispersal of 50 kg of F. tularensis over an area with 5 million people would result in 25,000 incapacitating casualties including 19,000 deaths. https://www.nwhc.usgs.gov/publications/disease_emergence/Chapter6.pdf Scroll to page 237 for Table 6.1 which shows Tularemia was used in Europe during WWII. Debate remains whether massive outbreaks of Tularemia on the Eastern Front was a biowarfare application against German troops or occurred naturally. Then on page 246 Table 6.3 shows confirmed applications of Tularemia during wartime, by terrorists, and/or as criminal activity.23,33,37,179, as well as it’s an agent produced for weapons use by nations with biowarfare programs.14,22,23,33,52. It is a category A agent, which is of highest priority and a critical biological agent for public health response activities. Hantavirus is not listed on page 250 Table 6.5 as a biowarfare agent, but mosquito transmitted Yellow Fever Virus is.